A full house and a fascinating evening at the last CCC Group meeting before the summer break. The presenters were Dr. Christine Checinska and Dr. Denise Noble. Dr. Denise Noble of Ohio State University. Denise was brought up nearby in Shoreditch. It was strangely appropriate for her to return to the area to talk about the home-making of her mother and friends who came to Britain from the Caribbean in the 1950s and 60s immigrant women. She talked in particular about the colourful doilies handcrafted by the women, now almost impossible to find. Denise offered her thoughts on the wider societal associations of these bright artefacts. You can listen to her presentation below.Dr. Christine Checinska is the Second Stuart Hall Library Animateur. Christine’s ideas and enthusiasm were hugely important to the foundation of the group. The title of her presentation, Reconstruction Work refers to the lack of representation of African-Caribbean creative output in fashion and textiles. Christine talked about the influence of Stuart Hall’s writings on her research into cloth, culture and race. 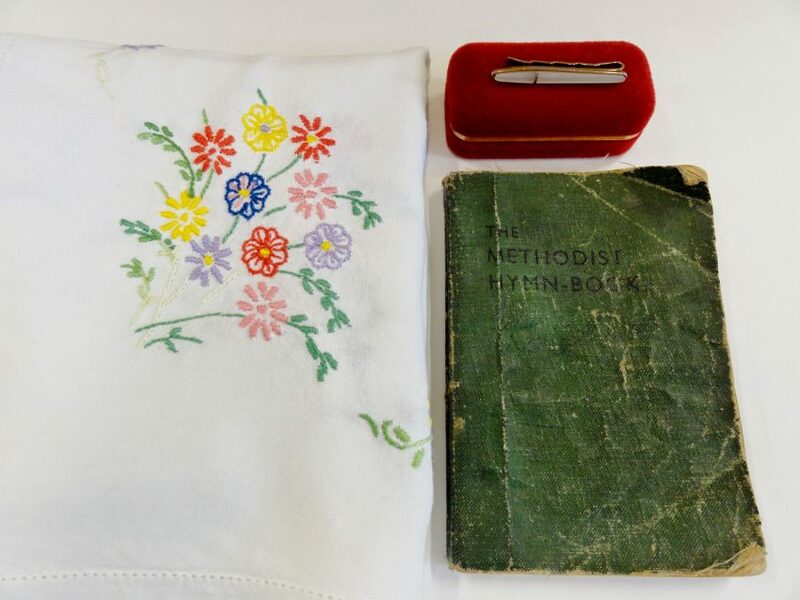 She brought along some family objects which are both powerful personal mementos and tangible records of a time, place and culture. Read more about both presentations on the webpage.